Fulfilling the request for medical health records is demanding on health care staff, taking up their valuable time and resources. 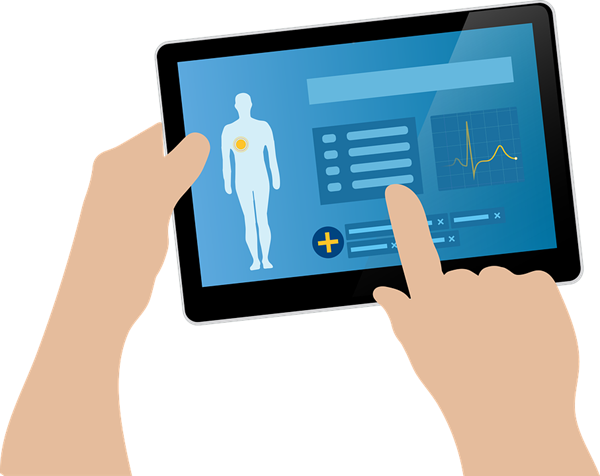 Electronic medical records (EMRs) offer a digital record of a patient’s complete medical history, much like the medical histories provided on paper. Requests for or transfers of these medical health records can be tedious, especially when the records are shared outside of a practice or across health care institutions. In some cases, the electronic health records must be printed out and mailed to members of a patient care team or outside health care specialists. Electronic medical records have become commonplace among many health care providers, though they come with a number of technological challenges. There can be obstacles with data filing or the compatibility between technological systems, when transferring patient records to alternative medical records technology. In many cases, medical health records can’t even be transferred across health care departments within the same institution. However, these electronic records are frequently requested by both patients and the providers who refer patients to other health care clinics and hospitals. These medical health records are more valuable than paper records, because they allow providers to track data over the course of the patient’s life, identify the need for preventative health care visits, and monitor the progress of patients and their participation in vaccinations and blood pressure checks. By these means, medical records technology improves the quality of health care overall. Automated medical records can ease the process. Requests from patients or providers are automatically completed with minimal staff involvement. Whether a patient’s medical health records are needed in whole or in part, the data can be compiled digitally and transferred across health care providers without using the time of health care staff. Patient charts can also be filed through HIPAA-compliant methods in order to provide the best health care to the patient. Switching to automated medical records can save health care providers time and money by focusing staff hours on patient care. They also offer a seamless way to fulfill any request to release medical records forms or the release of medical records to patients.